You’ve always tried to be a generous person when it comes to helping a friend or family member in need. Now it seems that you could use some more space in your home. In case you’ve never slept in one before, a Murphy bed is a special type of bed that is designed to maximize storage and provides a convenient and easy way to create a place for guests when you need it. Your Murphy bed will be more comfortable than a cot or a couch that converts to a bed. An expert technician can install the unit in nearly any room that you are you looking to create a sleeping space, whether it’s a spare bedroom, office, or even living room. During the day, the Murphy bed folds up from the floor into the wall, keeping it out of the way so you have more floor space for other activities. Just because you have a new Murphy bed, it doesn’t mean that people will have to know that it exists. 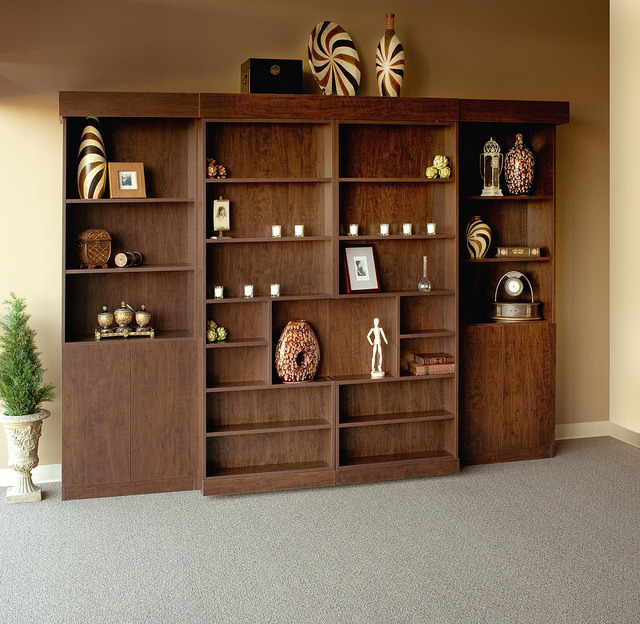 To that end, you can opt to disguise the wall bed with bookshelves on its exterior. When you fold up this type of Murphy bed in the morning, the room will convert into an elegant library. Choose from a multitude of colors, finishes, and design options for a truly customized look. Running out of room for guests but don’t want to undergo a taxing renovation project? A wall bed could be the solution. Guests will feel comfortable rather than sleeping on the floor or in a chair, and you’ll still be able to have a room for crafts or an office when guests aren’t in town. If you have questions about what’s involved in selecting a Murphy bed or would like some help when picking the right model, our team of experts at Closet & Storage Concepts are standing by to assist you in the decision making process. Get in touch with a local designer.